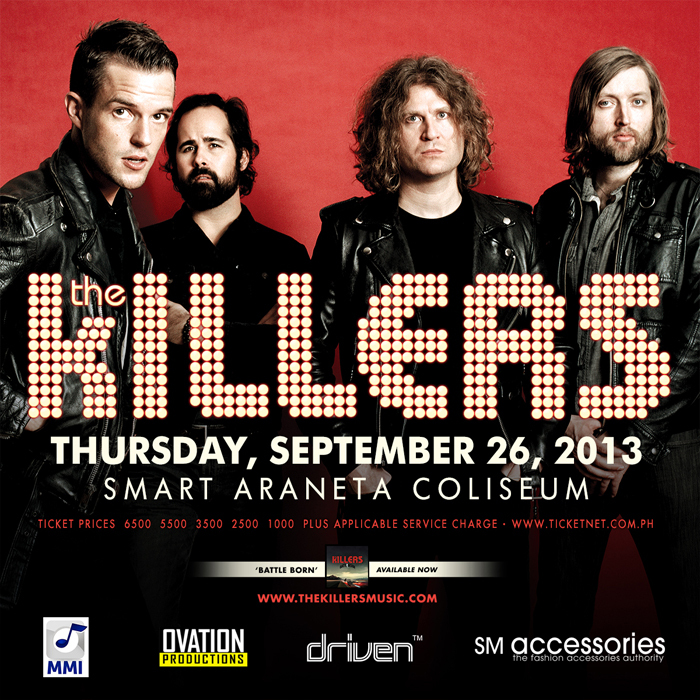 The Killers Concert Tickets Giveaway! Contest ends on Tuesday, September 24. Make sure you're available on said concert date. Goodluck! Facebook: The links are in my profile! just joined! i hope i win :) I've been dying to see them since highschool years pa. I think I deserve to ee thme now that I'm in my 20s hehehe. Push na to! ;) I love Brandon Flowers that much. Thanks for hosting the contest! Cross fingers. Joined! I really love The Killers and I have all their songs in my ipod from Sawdust to Battle Born. Please please let me win, I wanna surprise my boyfriend on our 5th year anniversary, we share the same love for this band even though we really have different tastes in music. This whole event will make our anniversary extra special. My girlfriend bought tickets to see The Killers for my birthday. But she lost the tickets along with her other stuff after she got mugged on a jeep. We can't afford tickets anymore so it would mean the world if we won this. But if we don't win, we're going to download a "live concert" of The Killers and watch it this weekend anyway. We love The Killers so much!